A roundup of the week’s tech news including Indiegogo Insurance, Google for Kids and Succession Plans. 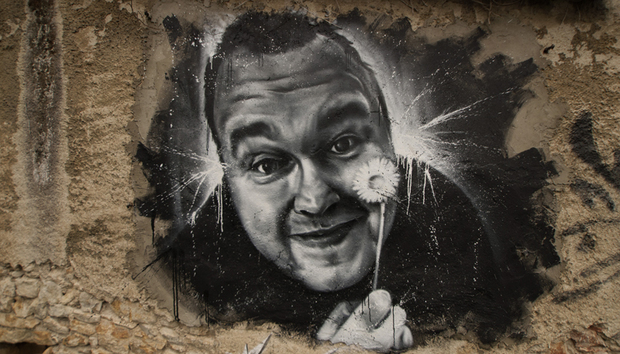 Kim Dotcom’s Internet Party flopped badly in the recent New Zealand elections. But it doesn’t seem to have fazed the now broke Megaupload founder. “The Internet Party is coming to the United States in 2015,” Dotcom Tweeted this week. “Hillary's worst nightmare” also said that the party “will be well funded and run by American citizens” and his role will be around Public Relations. After the pitiful returns in NZ, it’s hard to see any tech stars backing the party. Although Dotcom vs former HP CEO Carly Fiorina would be an interesting battle. Estonia has become the first country in the world to offer Electronic Residency. Edward Lucas, a UK-based editor at The Economist became the first e-Resident of Estonia, and showed off his card online. The encrypted Digital identity card doesn’t provide physical residency rights, citizenship or entry to Estonia, but does allow you to access various online services such as signing documents, registering a company in Estonia, conducting transactions with an Estonian bank account, and more – no matter which country you reside in. Aside from showing off the fact that Estonia is one of the few countries to really get how to do a digital society, the hope is e-Residency will attract more investment and business. - The NSA & GCHQ have hacked most of the world’s phone networks. - Germany’s intelligence agency, the BND, also enjoys collecting lots of data from people. - The FBI will try almost any trick to get around companies using encryption. - Judges have ruled GCHQ’s mass data collection doesn’t breach EU conventions on Human Rights. Microsoft has acquired mobile email app provider Acompli, Intel has bought PasswordBox, Samsung now own streaming startup Plair, Opera has purchased AdVine, Callfire has snapped up FireText, Datatec has got its hands on German tech firm Inforsacom, EnerNOC has gobbled up analytics startup Pulse Energy, infographics platform Infogr.am has taken over infographics blog Visualoop and GuestLogix has coughed up for OpenJaw Technologies. One company announcing splits this week are datacenter company IO – now IO and Baselayer, while the Node.js project has seen some of its main developers fork off to form Io.js. Amazon CEO Jeff Bezos is a hard man to get down. Despite his company’s Fire phones being regarded by many as a failure, we can expect more models in the future. “I have made billions of dollars of failures at Amazon.com … literally,” he told Re/Code. ““None of those things are fun. They also don’t matter. Companies that don’t continue to experiment, companies that don’t embrace failure, eventually get” desperate and “make a Hail Mary bet at the end of their corporate existence.” He apparently also has a secret “succession plan” in place for the next in line to the Amazon throne. Like a modern day Bible Conspiracy theory, one of tech’s holiest sites may in fact be a fraud. According to Apple Co-founder Steve Wozniak, the famous garage where he and Steve Jobs laid the foundation for their billion-dollar company – now deemed a site of historic significance – is a lie. “The garage is a bit of a myth,” he told Bloomberg. “We did no designs there, no breadboarding, no prototyping, no planning of products. We did no manufacturing there. The garage didn’t serve much purpose, except it was something for us to feel was our home.” Millions of fanboys will be cancelling their pilgrimages. As well as announcing a new kind of CAPTCHA and Project Loon impressing Balloonists, Google is planning to release a range of Child-friendly services. “The big motivator inside the company is everyone is having kids, so there's a push to change our products to be fun and safe for children,” Google VP Pavni Diwanji told USA Today. “The simple truth is kids already have the technology in schools and at home, so the better approach is to simply see to it that the tech is used in a better way.” The search giant reportedly wants to make modified versions of its current services aimed for children aged up to 12, but hasn’t set a date for them being released. The UK Government has set out a new tax aimed at companies who try and fiddle their profits to avoid tax. Chancellor George Osborne announced his new 25% "Google tax” this week “on profits generated by multinationals from economic activity here in the UK which they then artificially shift out of the country.” In reality the goal is to stop companies moving their cash offshore and instead they’ll just agree to pay the standard 21% corporation tax. Time is almost up for the much-maligned Google Glass. However there will be an updated version in the New Year with which will be powered by an Intel x86 chip. This will be the first hardware refresh the Smart Glasses have undergone since their big reveal, and who knows, people might start liking them again. Crowdfunding is great if it all goes right. But there’s plenty of potential for scams and failure. Even projects we’ve covered have seen accusations of fraud. Now Indiegogo is looking to fight back against failure by offering insurance. So far the service, which offers your pledge back if you don’t receive your reward within three months of the estimated delivery date, is only being tested on one campaign - the Olive stress-management wearable. But if it takes off it could see a lot more people willing to take a risk. It’s a sad week for anyone who grew up in the 90s. Microsoft announced this week that it was closing down its ClipArt service and instead you can use Bing image search. As someone who peppered their school work with the overly simple and often strange pictures, it’s a little bit heart-breaking.